No matter the traction streaming set top boxes and dongles keep gaining, TV manufacturers don’t appear willing to dumb down their smart TVs, looking instead to add more to them. With LG’s webOS something of a front-runner in this area, version 3.5 adds some enhancements to bolster the existing feature set. Chief among these is VR compatibility, allowing the TV to display VR and 360-degree content directly. Playback options range from available content services that offer it, like YouTube, for example, or through the TV’s USB port. Homemade VR content can be viewed on screen directly from the camera itself when plugged in to the TV. It’s not proprietary to LG’s 360 Cam, so any model should work fine, including the Samsung Gear 360, Ricoh Theta and 360fly 4K, among others. The LG Magic Remote can act as a guide to navigate the image, where moving it around tilts or pans the image onscreen. It’s a neat integration, and it worked smoothly in the demo I saw, but time will tell how popular this add-on becomes over time. Speaking of the remote, number buttons can be assigned to open specific apps like speed dial on a phone. As an example, you could hold the ‘5’ button to launch Netflix right away. The only real app addition noted on the show floor was SlingTV, which isn’t officially available in Canada. However, Amazon Prime Video now is, and should be added to webOS TVs in Canada, if it hasn’t already. The Magic Zoom feature is interesting in that it allows viewers to zoom in on something onscreen, and even crop out and record a certain portion of it. Might be good for a meme of a certain sports play or isolating someone in a scene. Magic Link is a new research tool to find information on whatever you’re watching, allowing it to mine the Internet for information related to that show or movie, including anything on YouTube that might tie in. 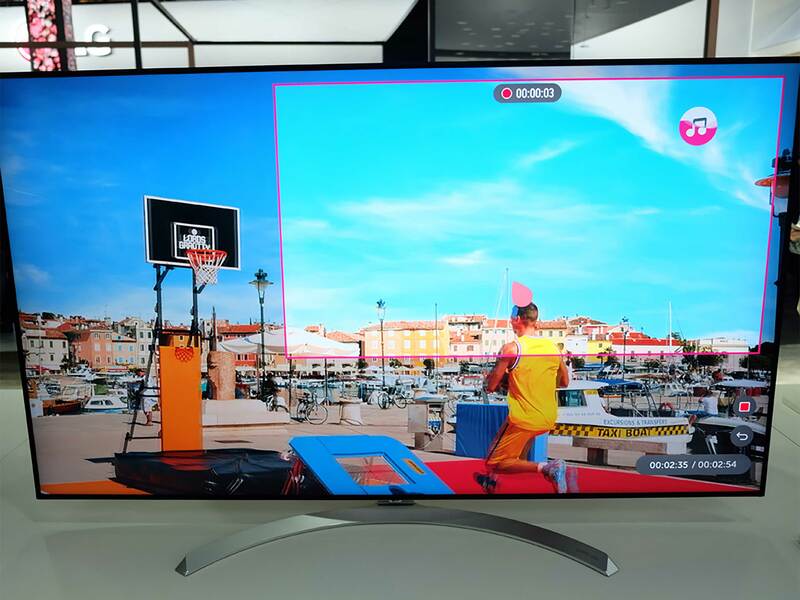 For Samsung’s new smart TV platform, it has streamlined some things to make it more compatible, including updates to its Smart View app that bring in Chromecast-style functionality into the mix. 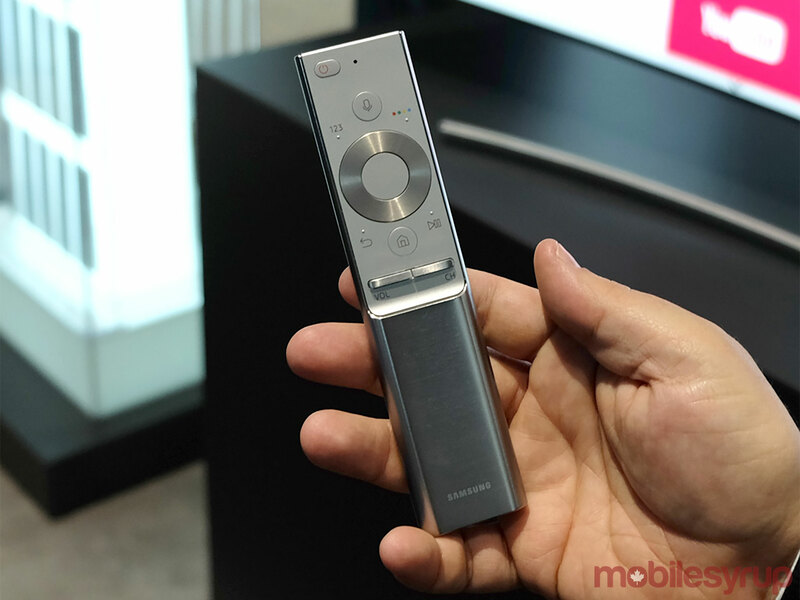 The new remote unveiled at CES is part of this as well, and the focus in making it all “smarter” is to state the obvious in some respects. TVs running this latest version of Smart Hub would recognize what’s connected to the HDMI ports in the back, so a Rogers cable box would have a Rogers logo on it, while a Roku would have its own logo, instead of generic ‘HDMI 1’ or ‘Input 4’ designations, for example. All boxes from major providers will be compatible, be it from Rogers, Bell, Telus, Shaw, Videotron and others. Most top-tier devices made within the last 1 to 5 years would would be recognized, including game consoles and set top boxes. What won’t work with this are obscure Android boxes (which means most of them) and older legacy products. 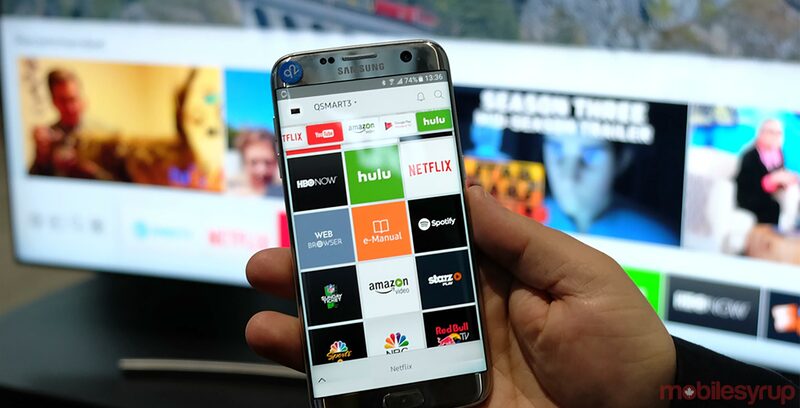 The Smart View app for Android will offer screen mirroring similar to how Chromecast allows it for any compatible Android device. Only Samsung devices running Android 4.1 Jelly Bean or higher can do this, so the feature is proprietary. 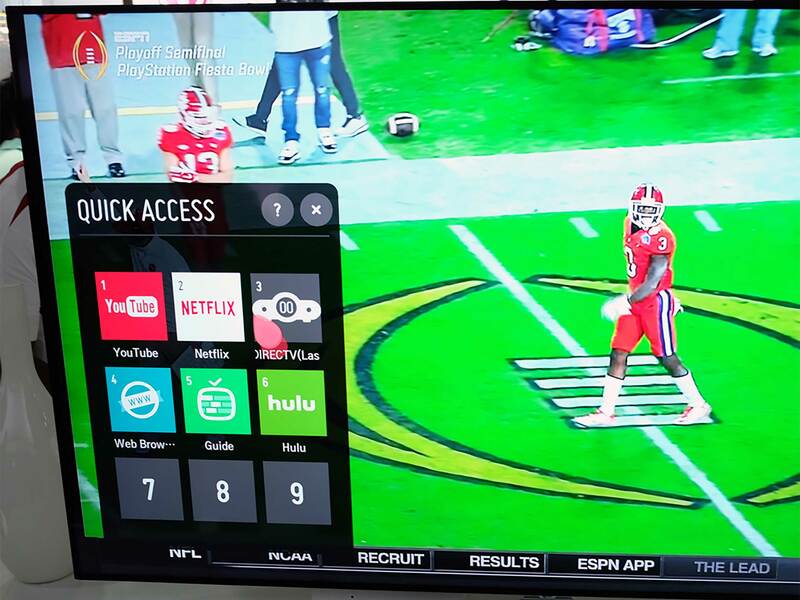 The mirroring also goes in reverse, allowing viewers to take whatever is on the TV and move it to a phone or tablet. The iOS version will be updated to take advantage of some of the new search and browsing features, but can’t do any of the screen mirroring options. 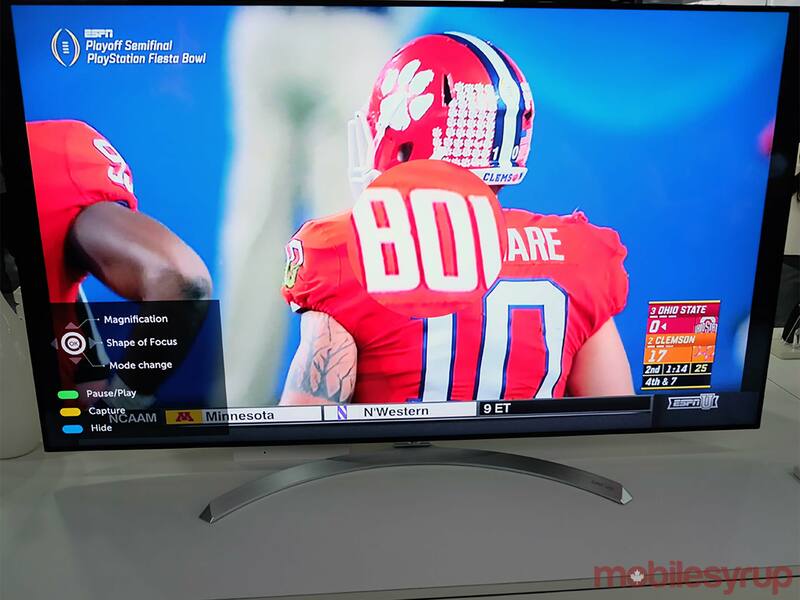 Sony didn’t showcase anything with Android TV this year at CES, though the company is fully committed to keeping that as its smart TV platform. 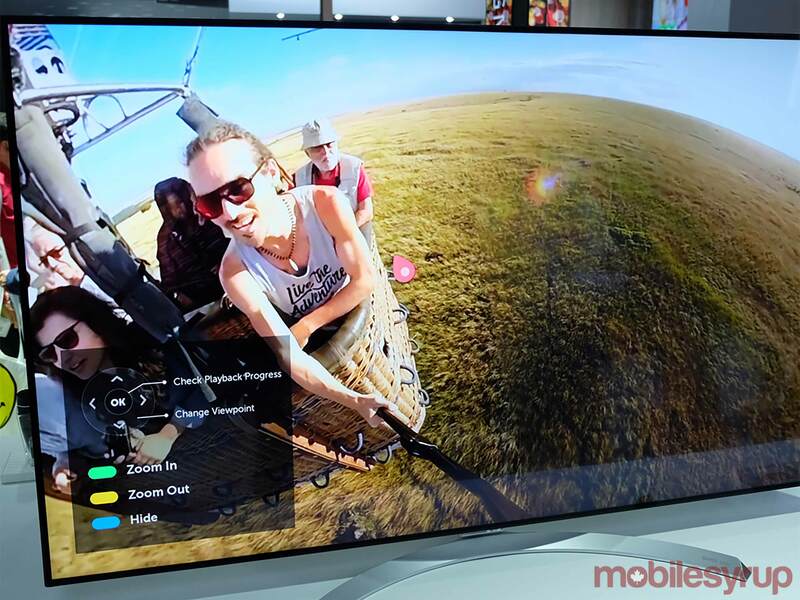 The big news, though, is that Bravia TVs manufactured in the last three years (and running Android TV) will get an update that brings Google Assistant into the software. In addition, Sony soundbars and wireless speakers (those that use Wi-Fi, mind you) made within the last two years will get updates that let them work with Google Home. Basically, any of those two product lines that had Chromecast support built-in will get this update. That would allow a user to use voice commands like, “Ok Google, play Spotify on my Sony speaker” to automate that process.